Serving transgender, nonbinary and gender creative patients across the lifespan. Proudly helping Healthy Transitions’ patients live authentically. PA Diane Bruessow has been practicing medicine in New York and New Jersey for 25 years. 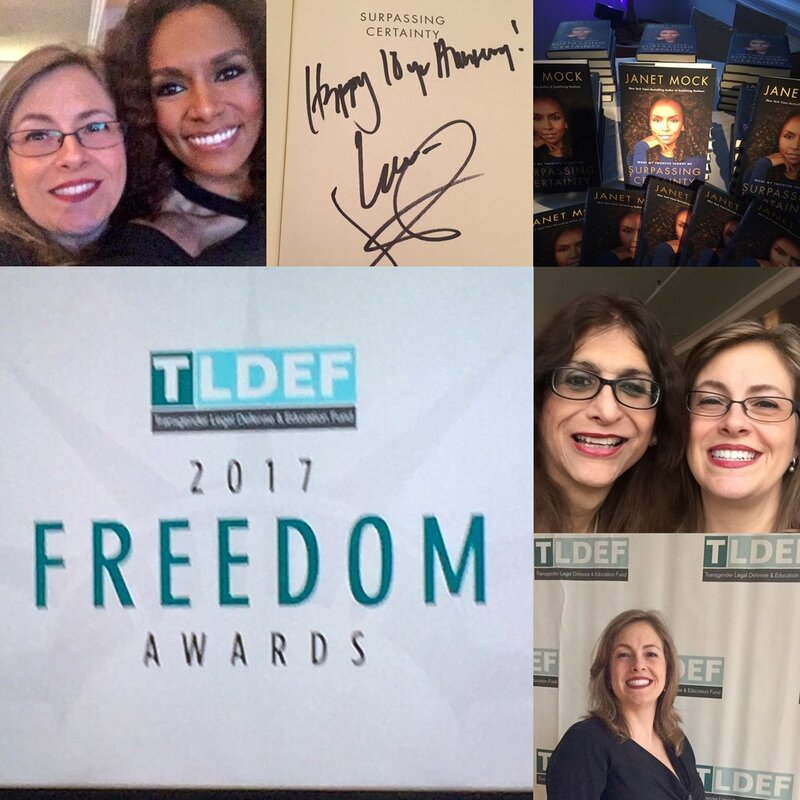 She's been working with transgender, nonbinary and gender expansive people across the lifespan since 2001 when someone near and dear to her initiated their own transition. Diane was embarrassed by lack of availability of high quality, patient-centered medical care. Since then, Diane has worked to address the gaps in access to trans health care and was thrilled to be invited to join Healthy Transitions in 2012. The partnership between Dr. O'Connor and PA Bruessow is first and foremost based on a shared commitment to high-quality, patient-centered care for trans, NB and gender expansive people across the lifespan. 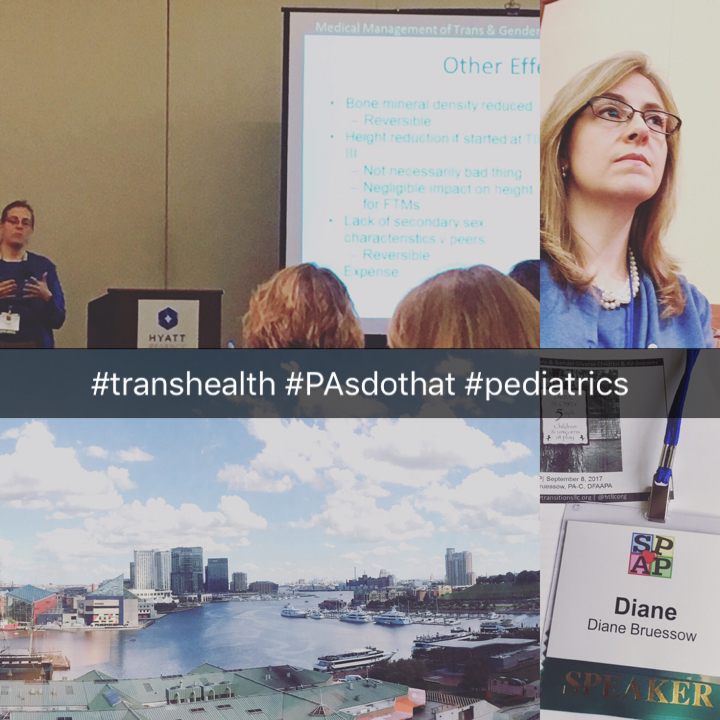 In addition to her clinical practice, Diane was the first PA to be invited to serve on the editorial advisory board of the medical journal Transgender Health - the first peer-reviewed, medical journal dedicated to addressing the healthcare needs of transgender individuals throughout the lifespan and identifying gaps in knowledge as well as priority areas where policy development and research are needed to achieve healthcare equity. 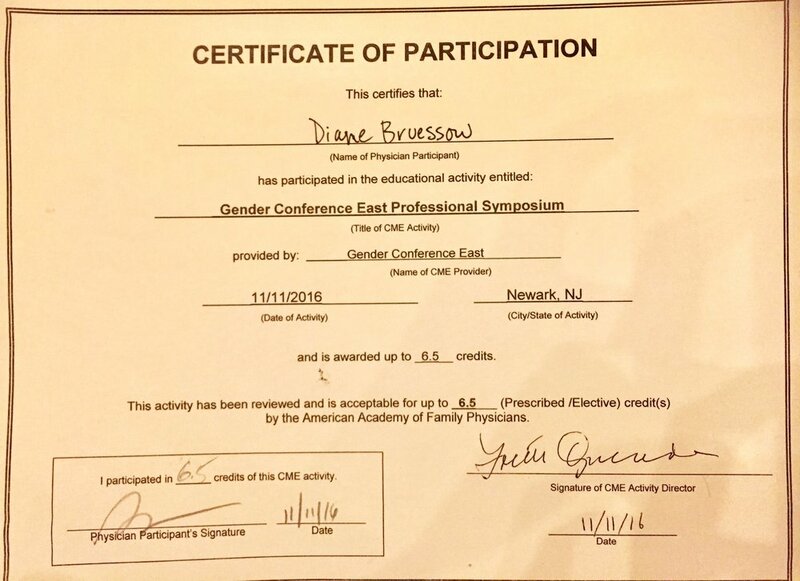 Diane regularly contributes her credibility as a licensed medical provider to improve the lives of trans, NB and gender expansive people across the lifespan in other ways that extend beyond the exam room. On the systemic level, she serves as a subject matter expert, consulting for various public health agencies, as an educator providing lectures and mentorship for students and experienced medical professionals alike, as well as advising health systems administrators and health policy makers. She enjoys doing speaking engagements with the parents, caregivers and other family members of trans, nb and gender expansive children, adolescents and adults who are beginning to explore the relationship between their gender, health and happiness. Burkhalter JE, Margolies L, Sigurdsson HO, Walland J, Radix A, Rice D, Bucht FO, Sanchez NF, Bare MG, Boehmer U, Cahill S, Griebling TL, Bruessow DM, and Maingi S, The National LGBT Cancer Action Plan: A White Paper of the 2014 National Summit on Cancer in the LGBT Communities. LGBT Health. January 2016, 3(1): 19-31. doi:10.1089/lgbt.2015.0118. LGBT Best and Promising Practices Throughout the Cancer Continuum, Fort Lauderdale, FL. 2015. National LGBT Cancer Action Plan Summit. New York, NY. January 16-17, 2014. Sexual Orientation and Gender Identity Data Collection in Electronic Health Records: A Workshop. Institute of Medicine, National Academy of Sciences, Washington, DC, October 12, 2012. Workshop proceedings published by the National Academies Press, Collecting Sexual Orientation and Gender Identity Data in Electronic Health Records: Workshop Summary. Objective Review Committee. 2012. Health Resources and Services Administration (HRSA), United States Department of Health and Human Services (HHS), Rockville, MD.